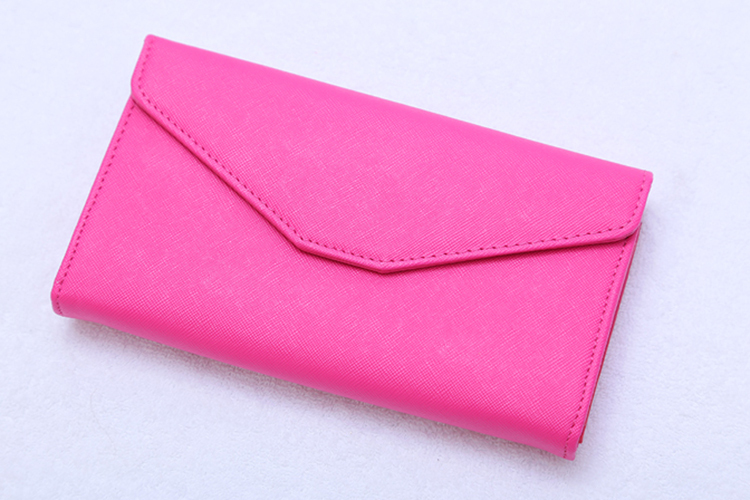 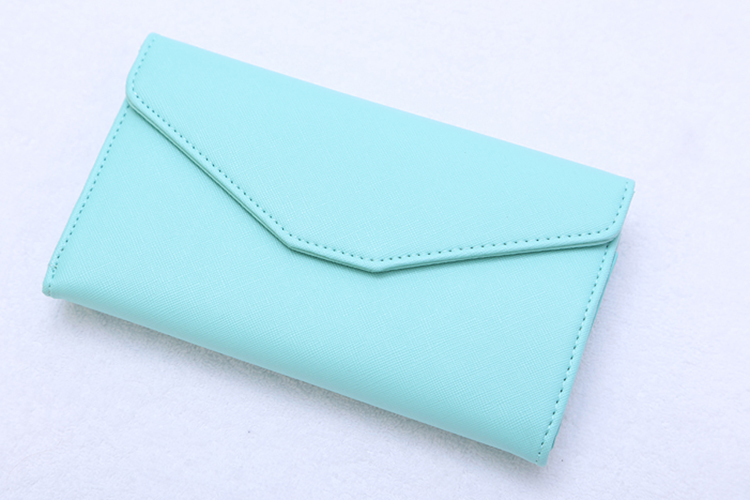 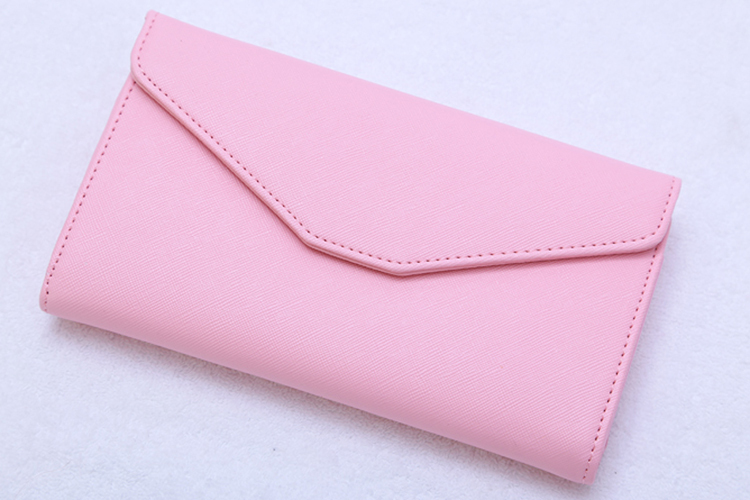 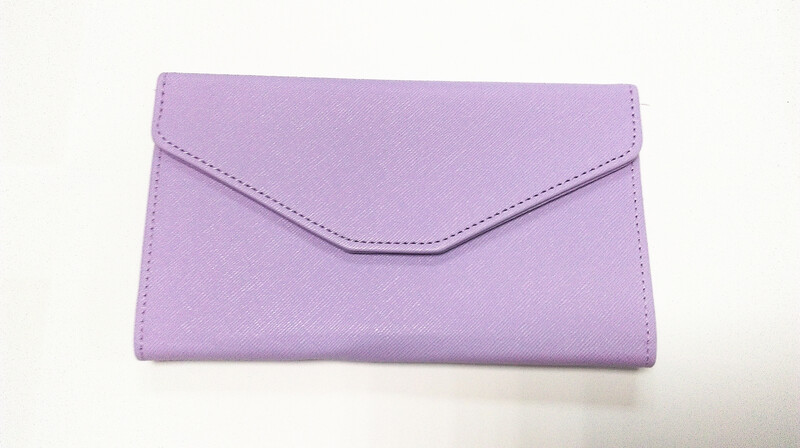 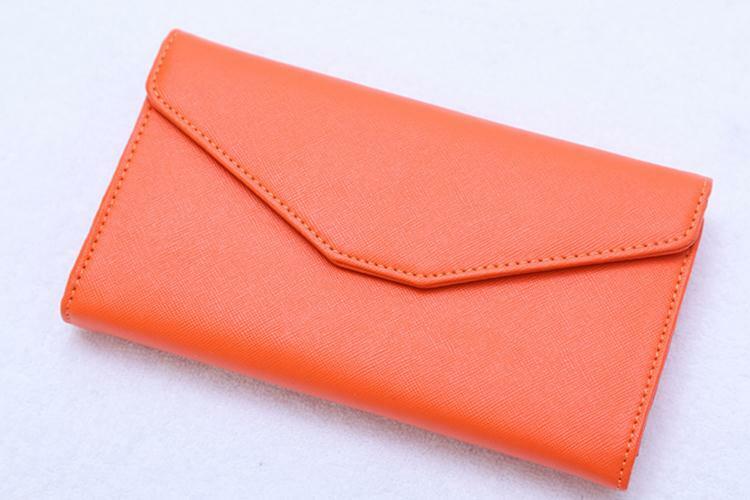 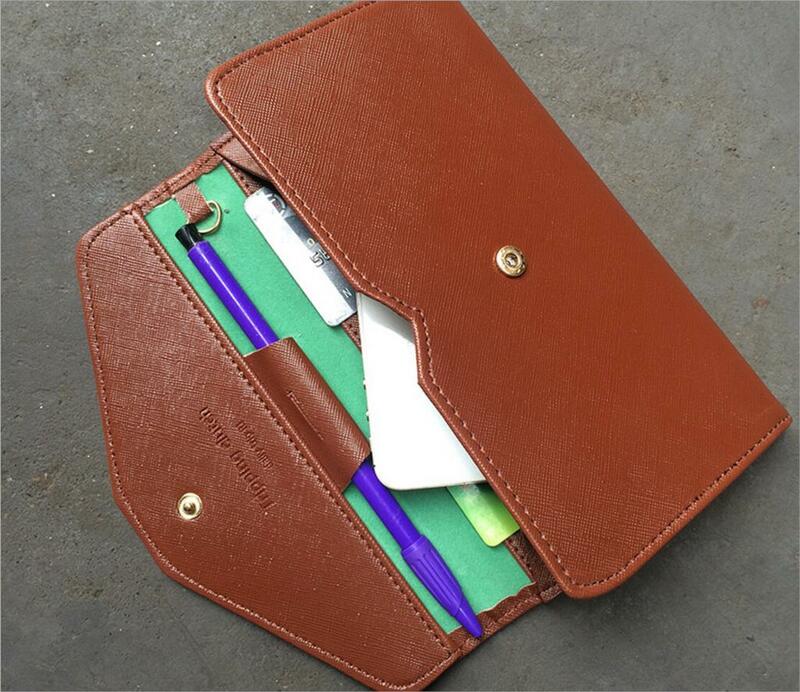 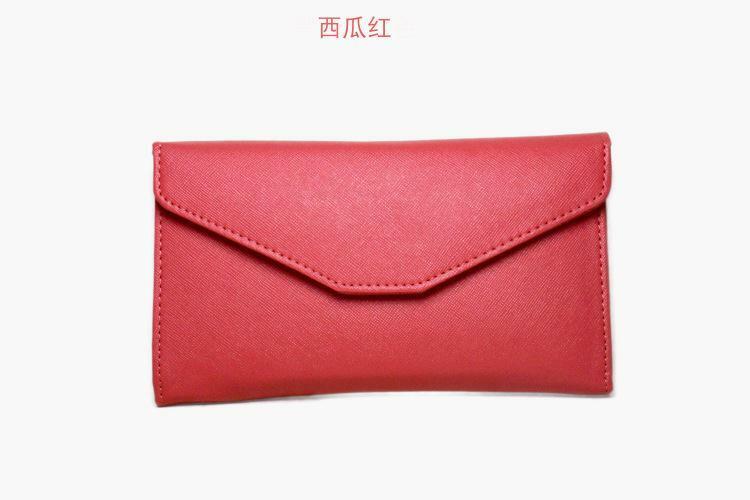 Keep your cards and money organized with this envelope faux leather wallet. 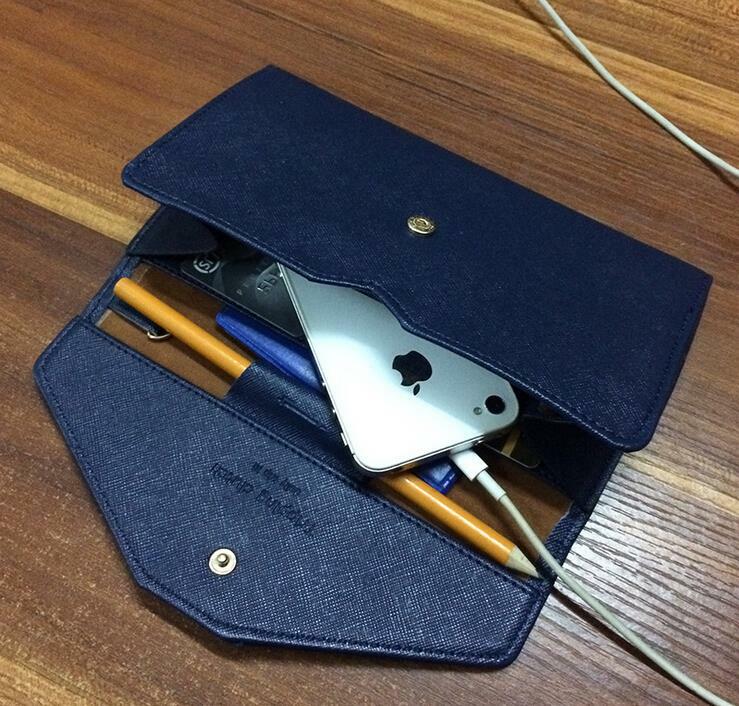 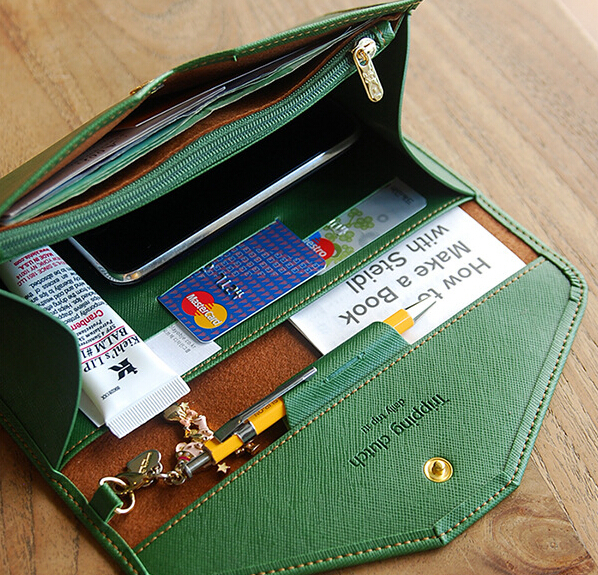 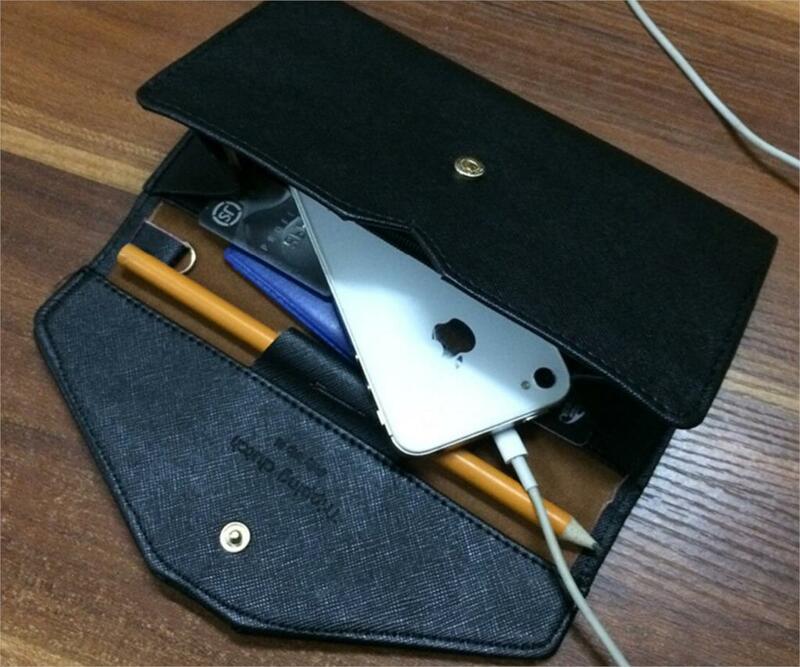 Featuring card slot holders, interior zip pocket, and button closure. 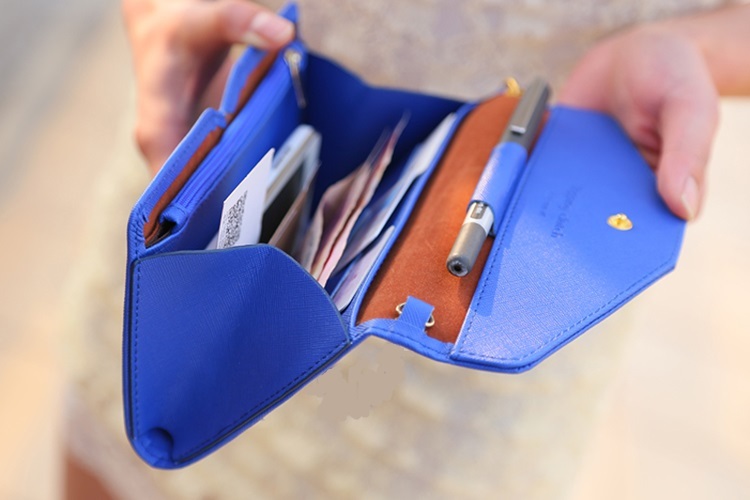 Optional strap lets you tote this wallet along for an evening out.